Hazard Admits ‘Dreaming’ For Real Madrid Deal, Restates Chelsea Loyalty – Royal Times of Nigeria. 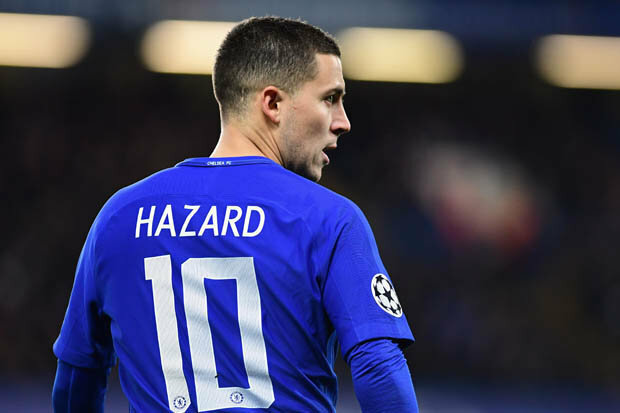 Chelsea winger, Eden Hazard, has admitted that it would be a “dream” come true if he plays for the reigning European Champions Real Madrid as speculations over his future at Stamford Bridge continue. Hazard has inspired Belgium to a place in the World Cup semi-finals for the second time since 1986, with his side taking on France in St Petersburg on Tuesday. Madrid have been consistently linked with a move for the 27-year-old, as the LaLiga giants also prepare to replace Cristiano Ronaldo who is reportedly close to joining Serie A champions Juventus. Speaking with newsmen, Hazard said the white jersey of Madrid is special but the blue jersey of Chelsea suits him well so it does not bother him if he stays. Thai cave rescue: All boys rescue with their coach.